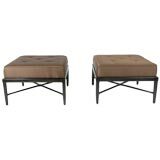 Pair of Billy Baldwin ottoman or benches with X-bases and thick top cushion. 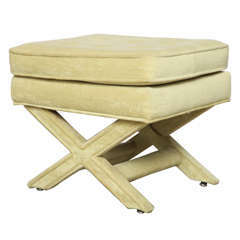 Stools have a tufted top cushion with vintage lattice weave green and white upholstery. 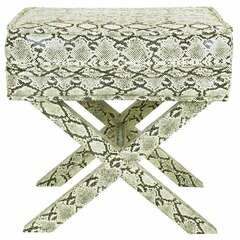 Faux Python X-Base Stool After Billy Baldwin.